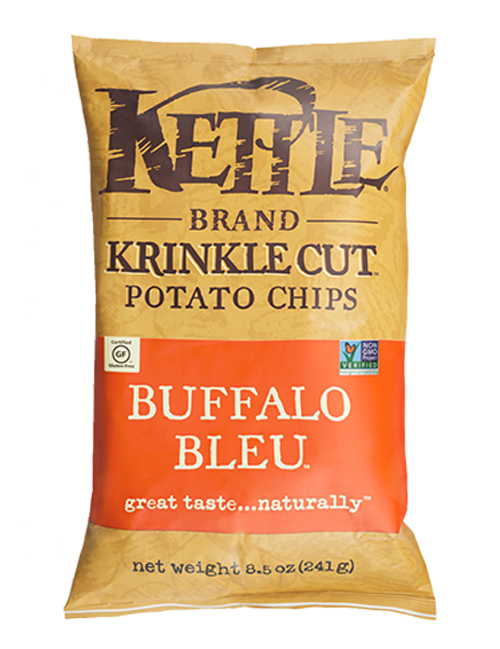 Everyone loves a fantastic vegan kettle potato chip. I know I do. I also like knowing what the ingredients are. 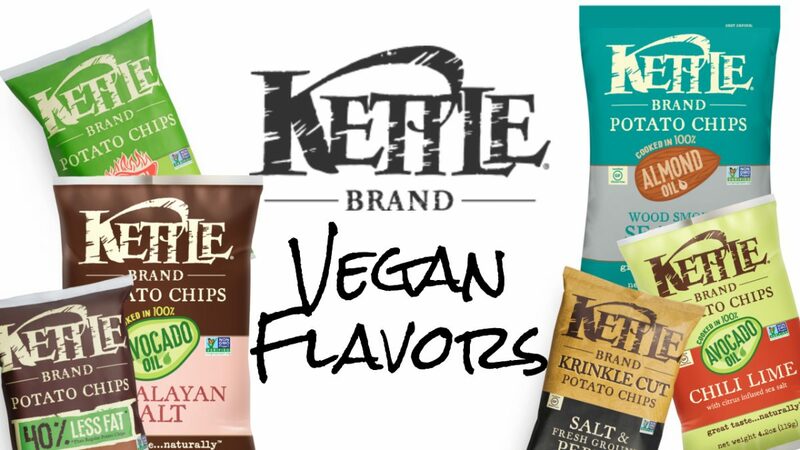 These two items lead to this post listing which Kettle Brand Potato Chips are Vegan. 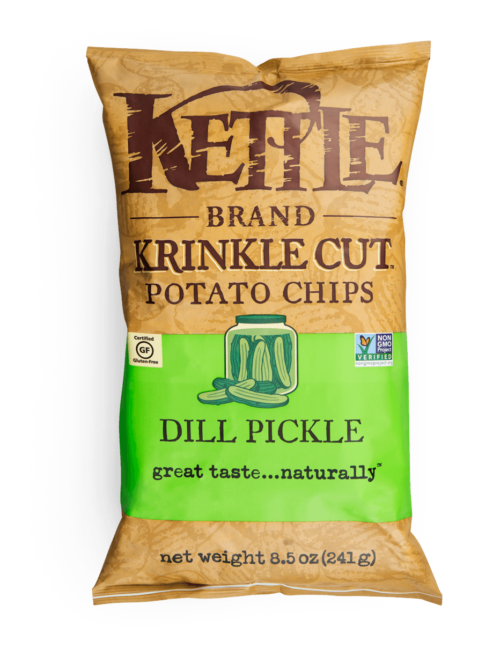 Below are all the Kettle Brand chip varieties I could find along with their ingredients (as of 2019) and if they are vegan or not. If you have any questions, changes or suggestions, please post in the comments and I will get the post updated. Why did I create this post? It is difficult to know exactly if a packaged food is vegan or not. I have benefited from so many vegan food posts, I thought it was time for me to put one together to help others out. 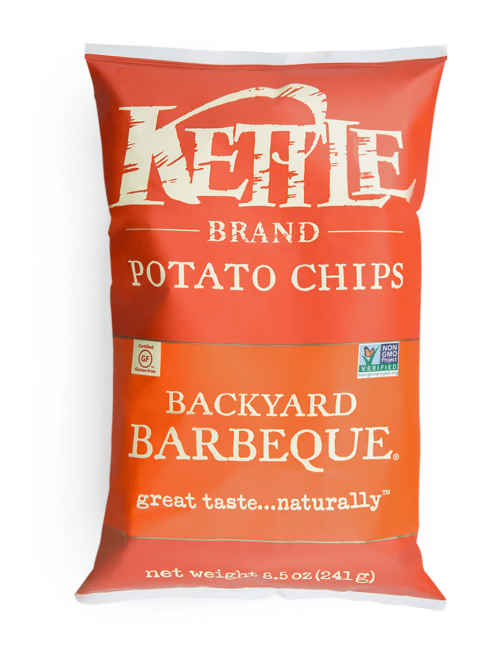 I spent lots of time going through the Kettle Brand website looking for specifics and detail about ingredients. Found lots of good information and still had a few questions. I have emailed Kettle several questions for clarification here are their responses. Some of the info was a little confusing so I am working to get 100% clarification. 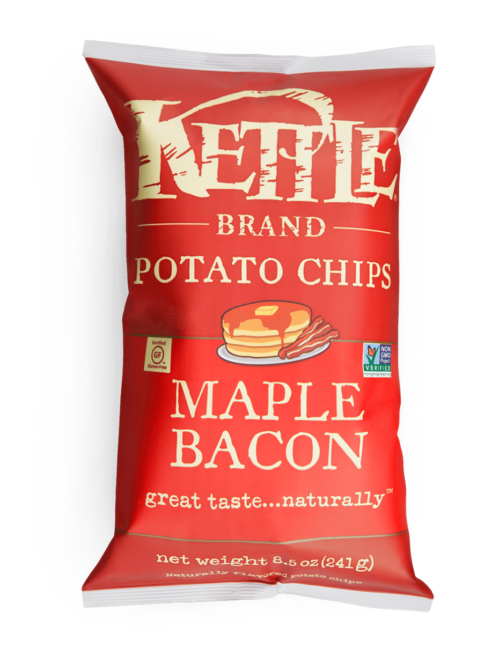 Question: Question about the Maple Bacon Kettle Chip Flavor. Is it Vegan? Are any animal products contained in the natural flavors? Kettle Answer: That is correct. If our chips contain dairy, sugar or honey they are not vegan. The sugar we use is filtered through bone char. The only product I know that has vegan sugar is our Backyard BBQ but it is not listed on the packaging. Another item mentioned in a different email: In addition, we want to mention that the rennet (enzyme) used in our products containing cheese is not animal based-we use vegetable rennet. 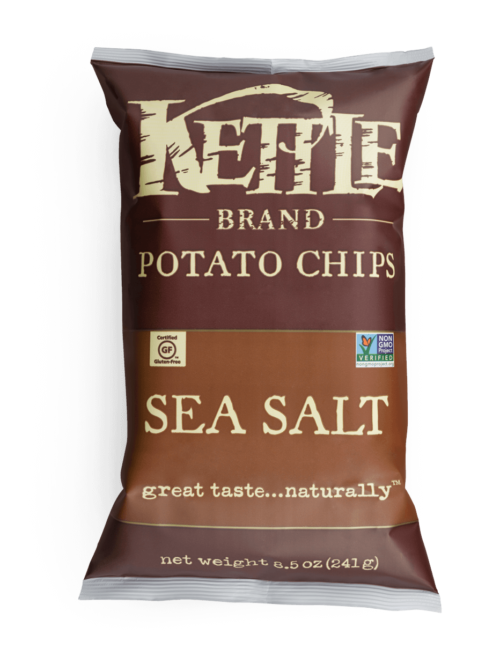 How can you go wrong with sea salt? It is a can’t go wrong classic and totally vegan. Ingredients (in 2019): Potatoes, safflower and/or sunflower and/or canola oil, sea salt. Ingredients (in 2019): Ingredients: Organic potatoes, organic safflower and/or sunflower oil, Organic Brown Rice Flour, Organic White Vinegar Powder (Organic Maltodextrin, Organic White Vinegar), Sea Salt, Organic Dried Cane Syrup, Tartaric Acid, Salt, Organic Molasses Powder, Citric Acid, Organic Rice Concentrate, Organic Tomato Powder. 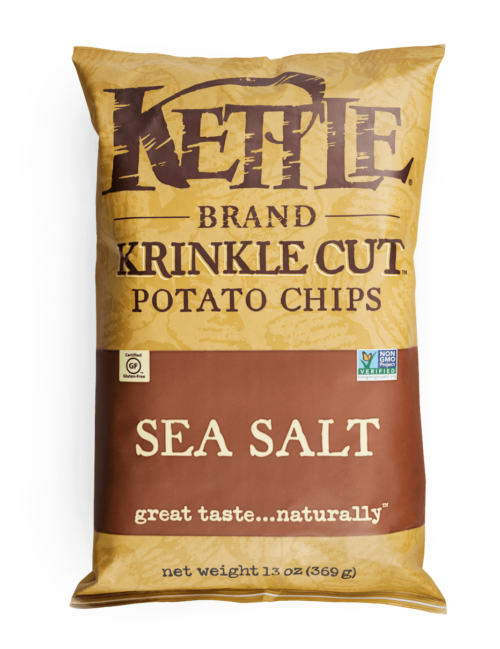 For those who are looking for less fat sea salt kettle chips, this is the way to go. 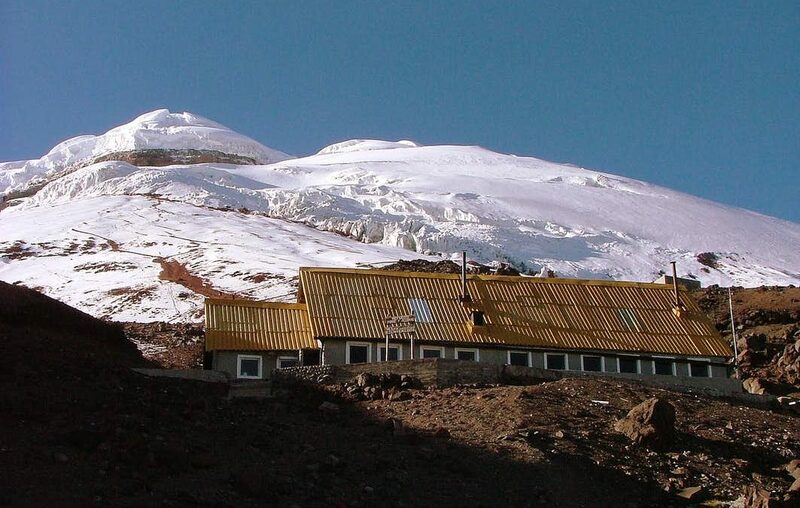 Prefer salt from the top of the world, rather than the bottom of the ocean? Then the Himalyan Salt flavor is for you. As an added bonus they are cooked with Avacado oil. 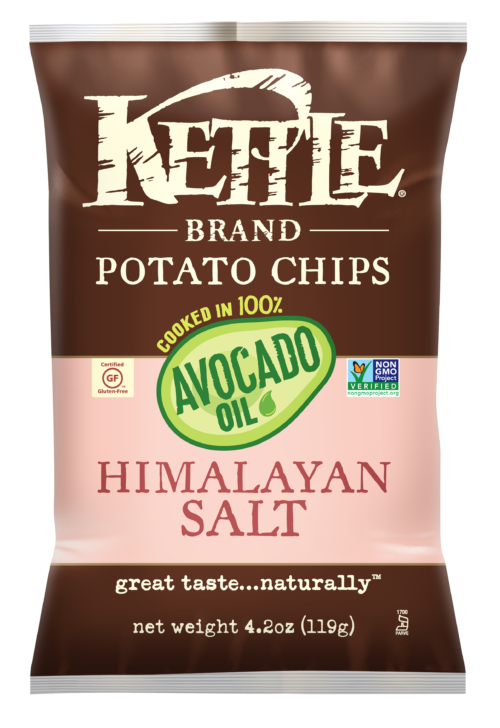 Ingredients (in 2019): Potatoes, avocado oil, and Himalayan salt. Wood Smoked Salt. I did not know this flavor even exists, now I do and can not wait to try it. 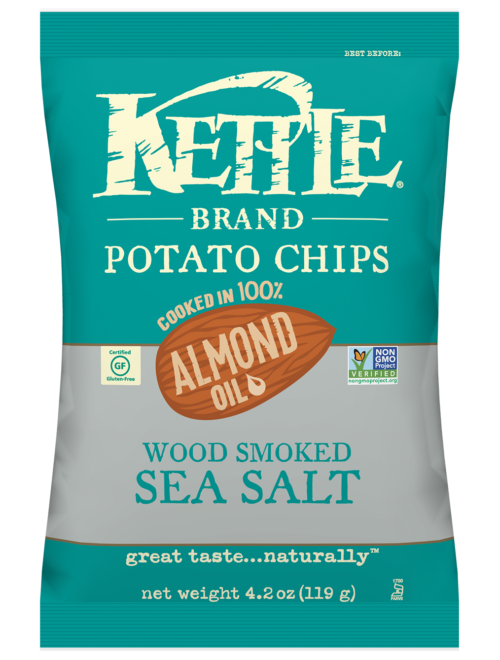 Ingredients (in 2019): Potatoes, Almond Oil, Maltodextrin, Sea Salt, Yeast Extract, Potato Maltodextrin, Garlic Powder, Natural Hickory Smoke Flavor, Smoked Sea Salt, Onion Powder, Black Pepper, Sunflower Oil, Citric Acid, Natural Flavor. Yo! Salt and Pepper are chips are the BEST! Ingredients (in 2019): Organic potatoes, organic safflower and/or sunflower oil, organic brown rice flour, sea salt, organic black pepper, organic onion powder, organic rice concentrate, organic garlic powder, organic jalapeño powder. 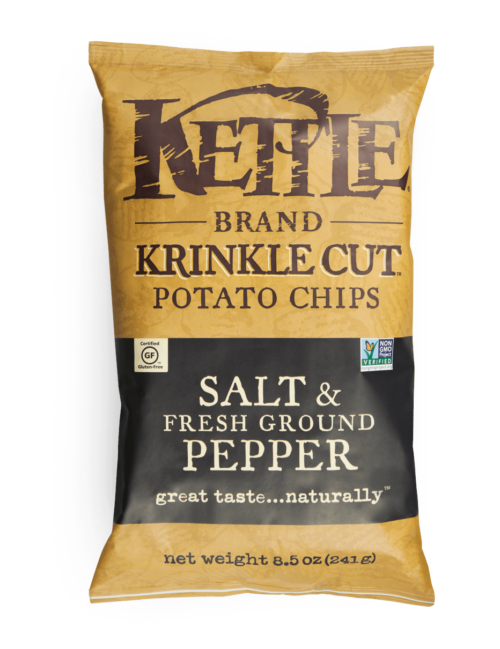 Krinkle Cut, Salt and Fresh Ground Pepper what more can you ask for? Ingredients (in 2019): Potatoes, safflower and/or sunflower and/or canola oil, rice flour, salt, black pepper, yeast extract, spice, garlic powder, onion powder, citric acid, spice extract, jalapeño powder. If salted exists then i suppose the law of opposites dictates that Unsalted must exist. Ingredients (in 2019): Potatoes, safflower and/or sunflower and/or canola oil. This is not a sodium free food. 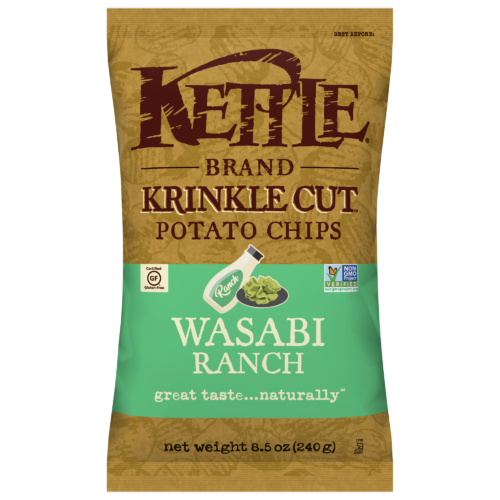 Have not tried these but they look super tasty. 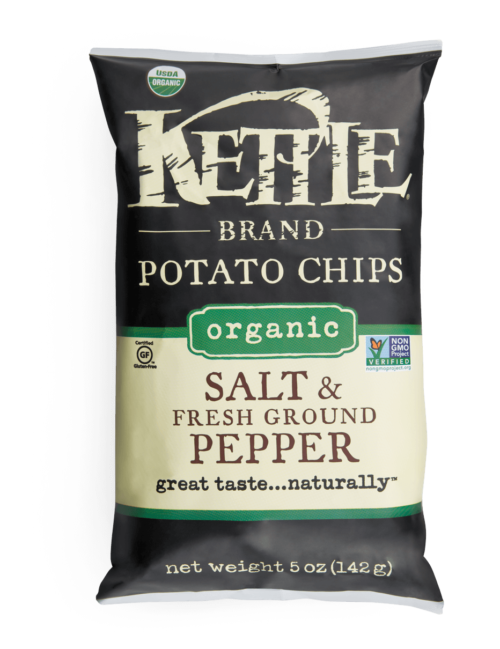 One thing to note these chips contain sugar and according to Kettle support the sugar is not vegan sugar which means it may have been filtered through bone char. So if you avoid bone char sugar then it will be best to skip this flavor. Ingredients (in 2019): Potatoes, safflower and/or sunflower and/or canola oil, sugar, organic dried cane syrup, salt, garlic powder, paprika, onion powder, spices, natural flavors (including smoke), tomato powder, torula yeast, yeast extract, molasses powder. A Vegan Backyard BBQ. What is better than that? Accordin to Kettle support this flavor IS vegan. 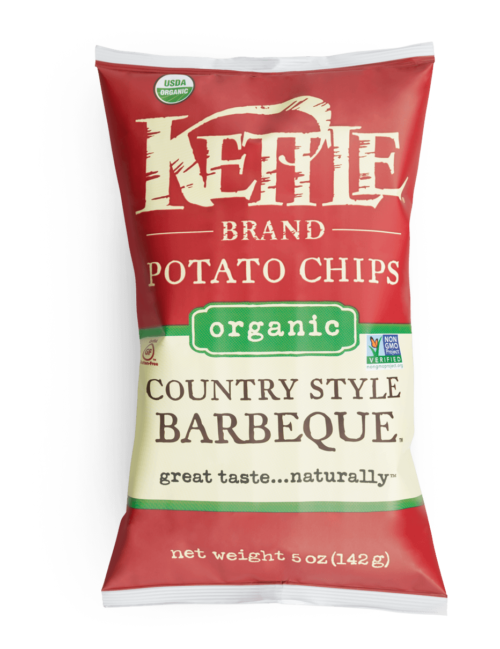 The sugar used is vegan sugar, so while the other BBQ flavor contain bone char sugar, these do not. Score one for the good guys. Ingredients (in 2019): Potatoes, Safflower and/or Sunflower and/or Canola Oil, Organic Dried Cane Syrup, Sugar, Salt, Maltodextrin, Paprika, Onion Powder, Yeast Extract, Tomato Powder, Troula Yeast, Garlic Powder, Chili Pepper, Natural Flavor (including Smoke), Citric Acid. 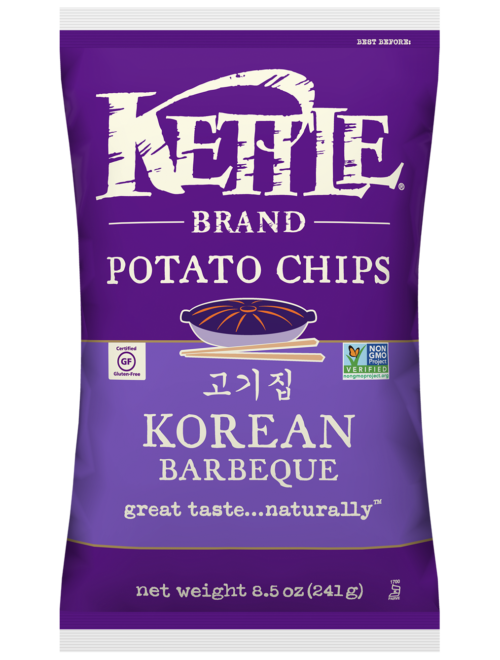 Ingredients (in 2019): Organic potatoes, organic safflower and/or sunflower oil, organic dried cane syrup, salt, organic paprika, organic spices, organic garlic powder, organic rice concentrate, citric acid, natural smoke flavor. 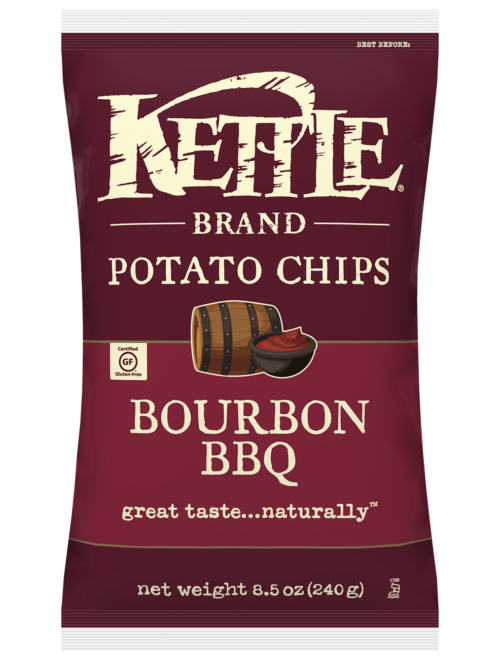 Bourbon BBQ has looks like a good flavor, contains no milk or honey but it does have sugar and according to Kettle support the sugar is not vegan sugar which means it may have been filtered through bone char. So if you avoid bone char sugar then it will be best to skip this flavor. Ingredients (in 2019): Potatoes, Safflower and/or Sunflower and/or Canola Oil, Sugar, Brown Sugar, Salt, Tomato Powder, Paprika, Yeast Extract, Onion Powder, Spices, Torula Yeast, Garlic Powder, Citric Acid, Maltodextrin, Gum Arabic, Natural Flavor (Including Smoke), Bourbon. 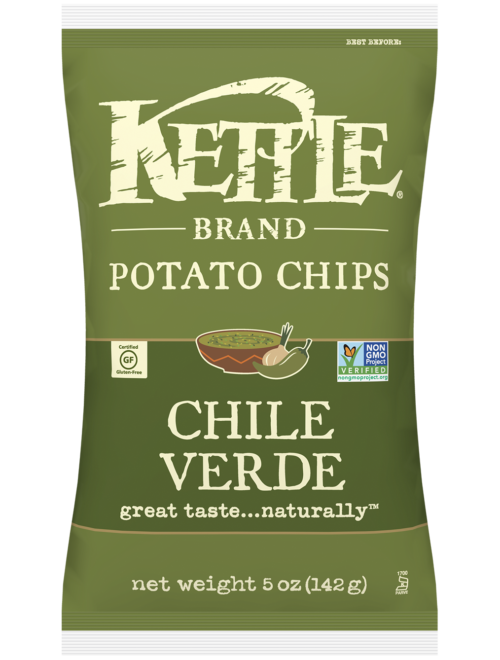 Check out the Chile Verde Kettle Chips. 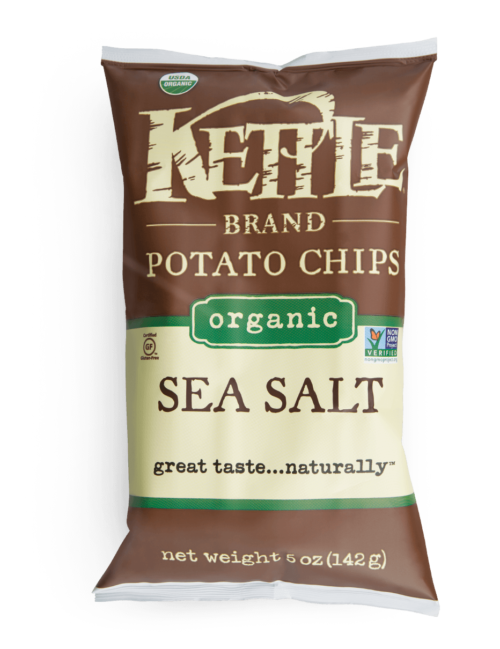 One thing to note these chips contain sugar and according to Kettle support the sugar is not vegan sugar which means it may have been filtered through bone char. So if you avoid bone char sugar then it will be best to skip this flavor. 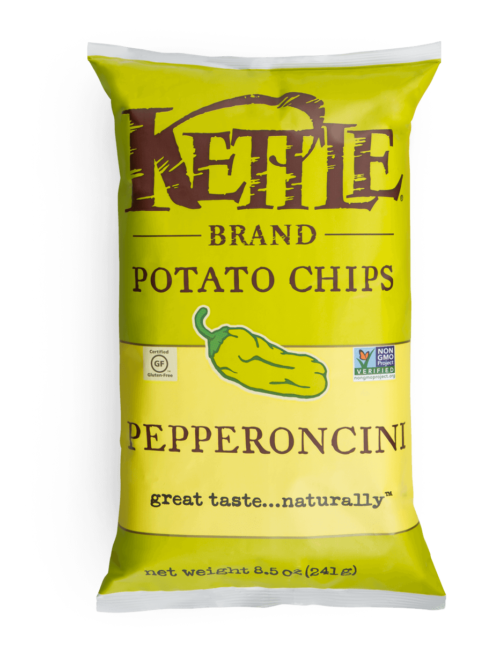 Ingredients (in 2019): Potatoes, safflower and/or sunflower and/or canola oil, maltodextrin, sugar, salt, green bell pepper powder, chili powder, jalapeno powder, onion powder, spices, vinegar, garlic powder, citric acid, yeast extract, parsley, natural flavors. Pepperoncini. 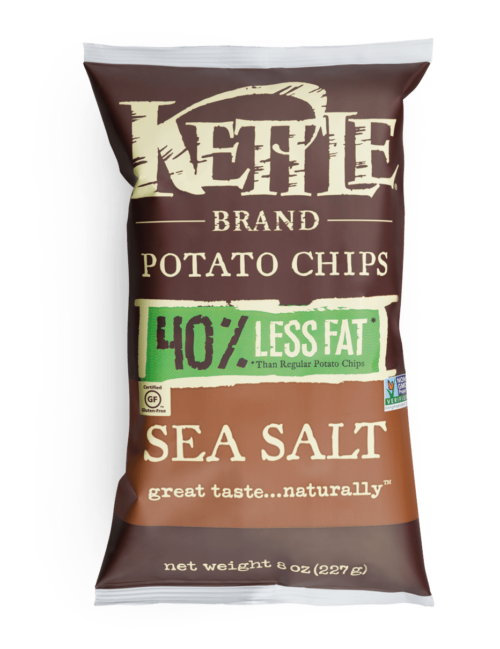 One thing to note these chips contain sugar and according to Kettle support the sugar is not vegan sugar which means it may have been filtered through bone char. So if you avoid bone char sugar then it will be best to skip this flavor. Ingredients (in 2019): Potatoes, Safflower and/or Sunflower and/or Canola Oil, Maltodextrin, Sea Salt, Salt, Green Bell Pepper Powder, Garlic Powder, Sugar, Yeast Extract, Spices, Vinegar, Jalapeno Powder, Onion Powder, Parsley Powder, Citric Acid, Natural Flavors, Parsley Flakes. 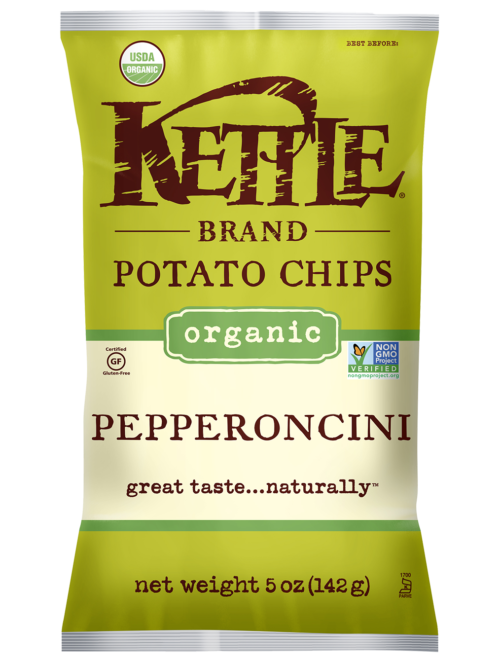 Ingredients (in 2019): Organic potatoes, organic safflower and/or sunflower oil, organic maltodextrin, organic bell pepper, salt, organic white distilled vinegar, organic garlic, organic cane sugar, organic chili pepper, organic rice concentrate, organic onion, citric acid, organic parsley, natural flavor. 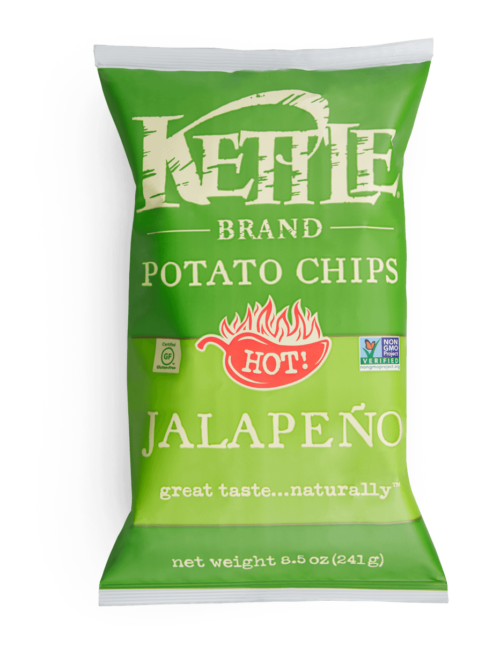 Jalapeno Kettle Chips One thing to note these chips contain sugar and according to Kettle support, the sugar is not vegan sugar which means it may have been filtered through bone char. So if you avoid bone char sugar then it will be best to skip this flavor. Ingredients (in 2019): Potatoes, safflower and/or sunflower and/or canola oil, dextrose, salt, sugar, maltodextrin, onion powder, natural flavors, torula yeast, yeast extract, garlic powder, jalapeño powder, parsley flakes, paprika extract (color). 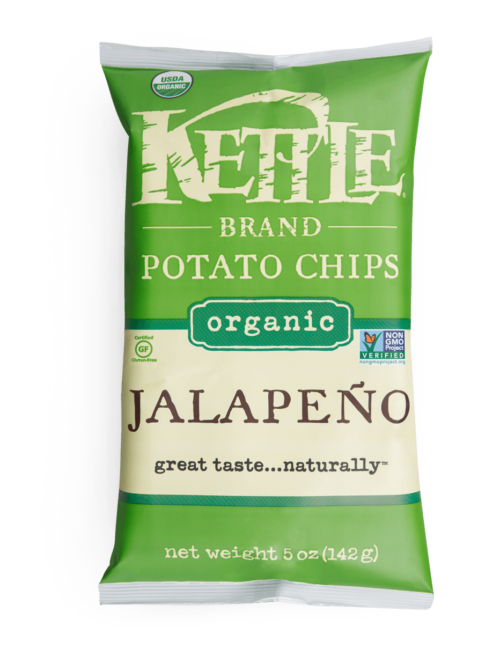 Organic Jalapeno Chips. 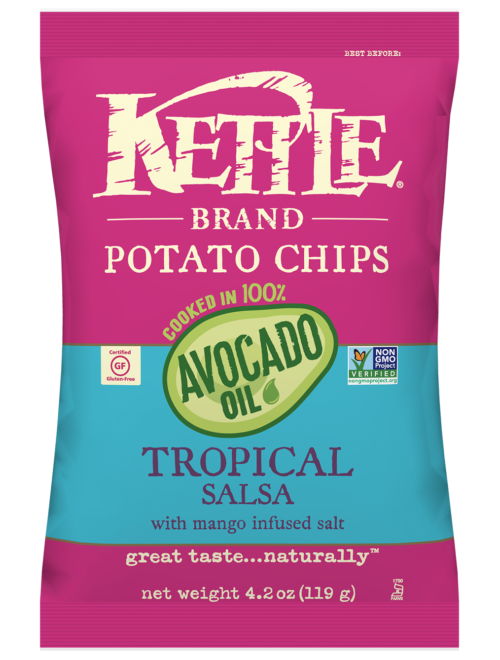 One thing to note these chips contain sugar and according to Kettle support the sugar is not vegan sugar which means it may have been filtered through bone char. So if you avoid bone char sugar then it will be best to skip this flavor. Ingredients (in 2019): Potatoes, Safflower and/or Sunflower and/or Canola Oil, Dextrose, Salt, Sugar, Maltodextrin, Onion Powder, Spices, Torula Yeast, Yeast Extract, Garlic Powder, Jalapeño Powder, Natural Flavors, Parsley Flakes. 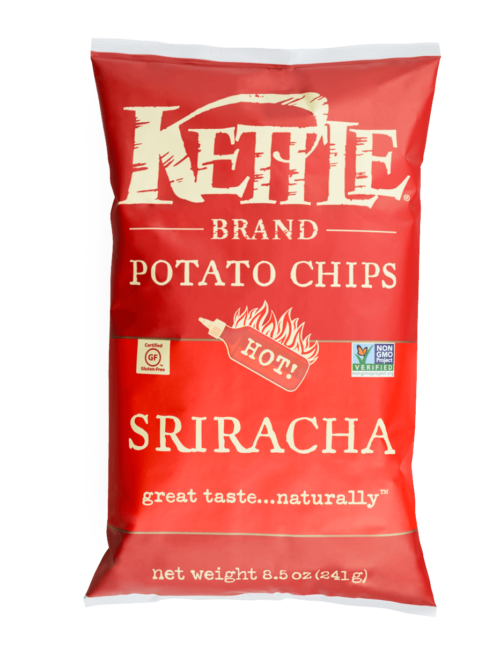 Sriracha Kettle Chips. 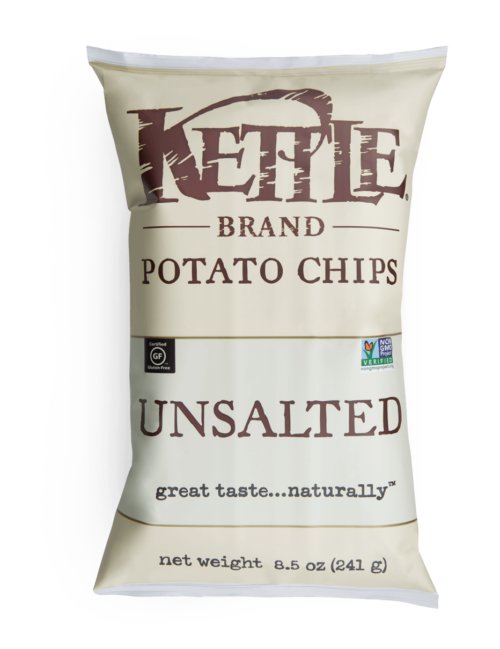 One thing to note these chips contain sugar and according to Kettle support the sugar is not vegan sugar which means it may have been filtered through bone char. So if you avoid bone char sugar then it will be best to skip this flavor. Ingredients (in 2019): Potatoes, safflower and/or sunflower and/or canola oil, maltodextrin, sugar, salt, spices, red bell pepper powder, garlic powder, paprika, vinegar, dried red pepper sauce (aged red peppers, vinegar, salt), Natural Flavor. 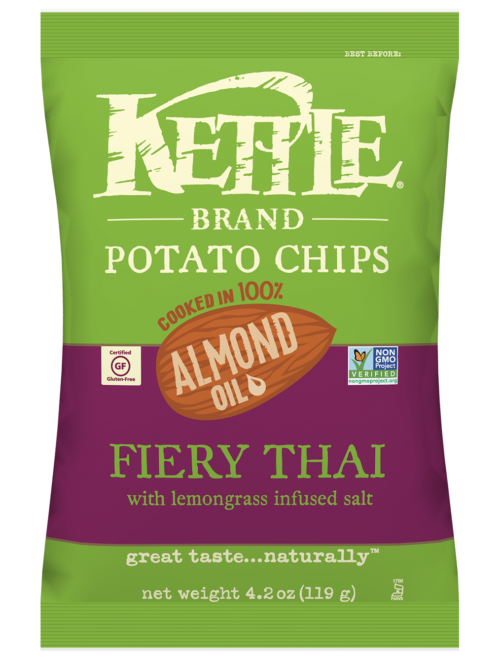 Fiery Thai Kettle Chips. 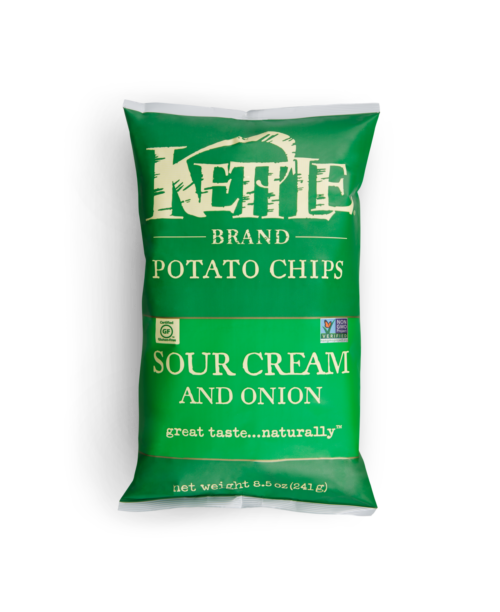 One thing to note these chips contain sugar and according to Kettle support the sugar is not vegan sugar which means it may have been filtered through bone char. So if you avoid bone char sugar then it will be best to skip this flavor. Ingredients (in 2019): Potatoes, Almond Oil, sugar, maltodextrin, lemongrass salt (salt, lemongrass oil), spices, garlic powder, yeast extract, onion powder, parsley, citric acid, natural flavor. 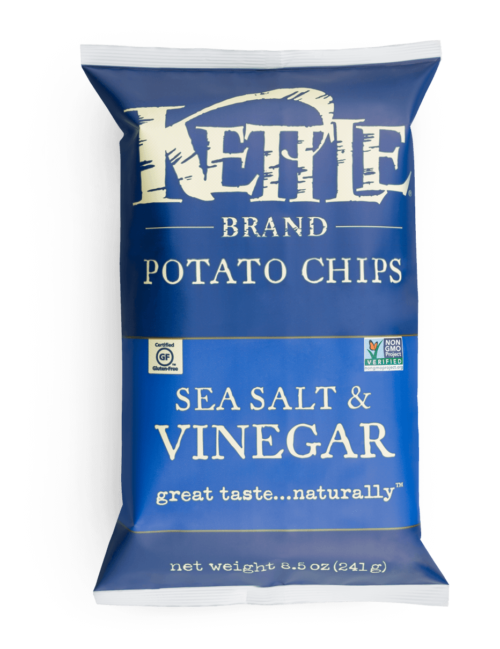 If salt and vinegar chips are good then sea salt and vinegar chips are even better. Ingredients (in 2019): Potatoes, Safflower and/or Sunflower and/or Canola Oil, Vinegar Powder (Maltodextrin, White Distilled Vinegar), Sea Salt, Maltodextrin, Citric Acid. Sounds weird but a good chance they are pretty good. Ingredients (in 2019): Potatoes, safflower and/or sunflower and/or canola oil, maltodextrin, salt, garlic powder, vinegar, sugar, yeast extract, onion powder, natural flavor, spice, citric acid, parsley. I have no idea what these taste like. Ingredients (in 2019): Potatoes, avocado oil, maltodextrin, sugar, mango salt (salt, mango juice concentrate), tomato powder, green bell pepper powder, jalapeno powder, onion powder, spices, salt, citric acid, vinegar, garlic powder, parsley, yeast extract, chili powder, lactic acid, natural flavors. 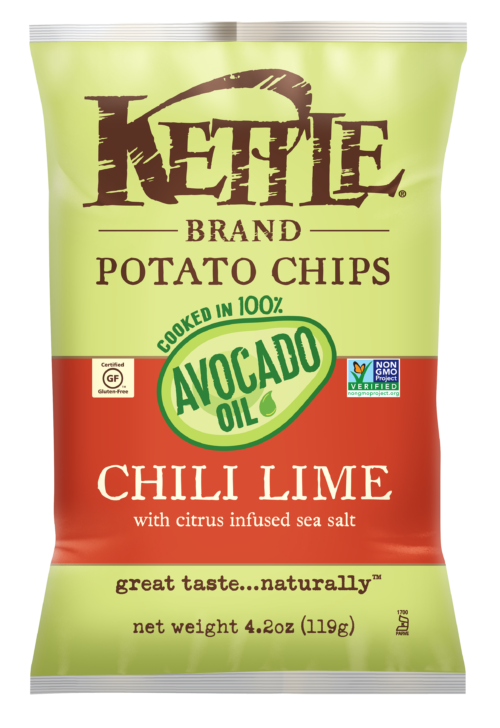 Ingredients (in 2019): Potatoes, avocado oil, lime salt (sea salt, lime oil), maltodextrin, onion powder, sugar, tomato powder, dehydrated parsley, garlic powder, jalapeno pepper powder, sunflower and canola oil, citric acid, white distilled vinegar powder, spice, natural flavors. 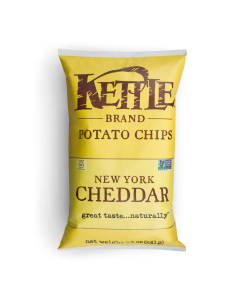 Kettle Support says there are no animal products (bacon) in these so that is good. Ingredients (in 2019): Potatoes, safflower and/or sunflower and/or canola oil, sugar, maltodextrin, maple sugar, salt, dried cane syrup, dried molasses, sea salt, natural flavors (including smoke), spice. 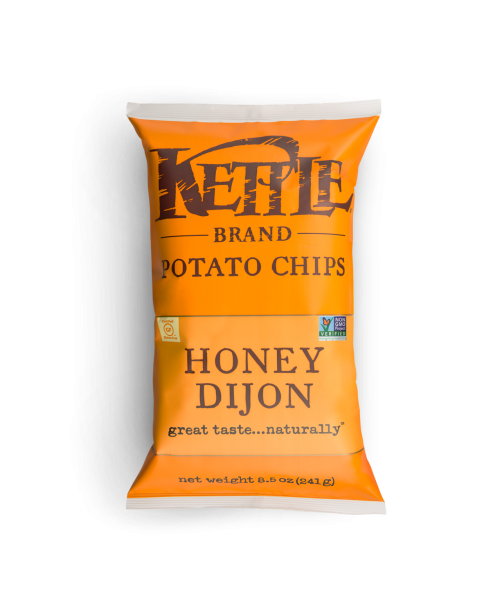 While these do not contain milk or dairy, they do contain honey so if you avoid all animal products then you will also want to avoid the Honey Dijon flavor. It makes sense that sour cream and onion would not be a Vegan option, disappointing any the less. I can see them wanting to use milk to get a true sour cream taste. This one is interesting it contains Organic Nonfat Milk, Organic Cultured Cream but does not have Milk listed as an alergin. I wonder why this is. 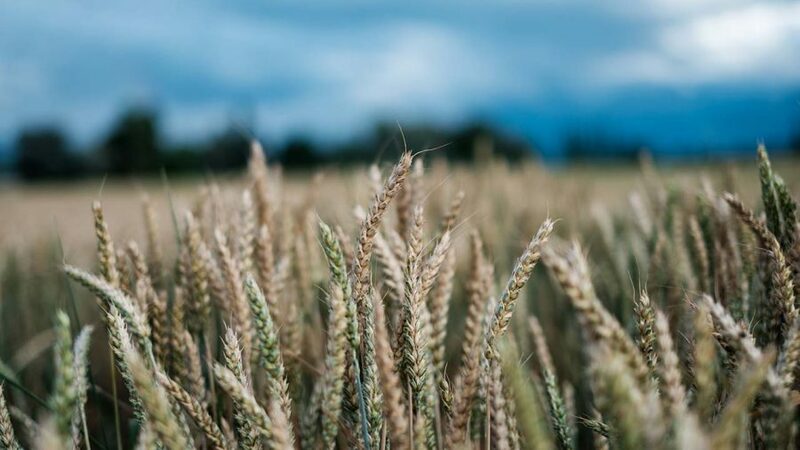 Ingredients (in 2019): Potatoes, Safflower and/or Sunflower and/or Canola Oil, Maltodextrin, Organic Nonfat Dry Milk, Salt, Cheddar Cheese (Pasteurized Milk, Sea Salt, Cultures, Enzyme), Sugar, Organic Sour Cream (Organic Nonfat Milk, Organic Cultured Cream), Onion Powder, Yeast Extract, Lactic Acid, Garlic Powder, Natural Flavors, Citric Acid, Spice. 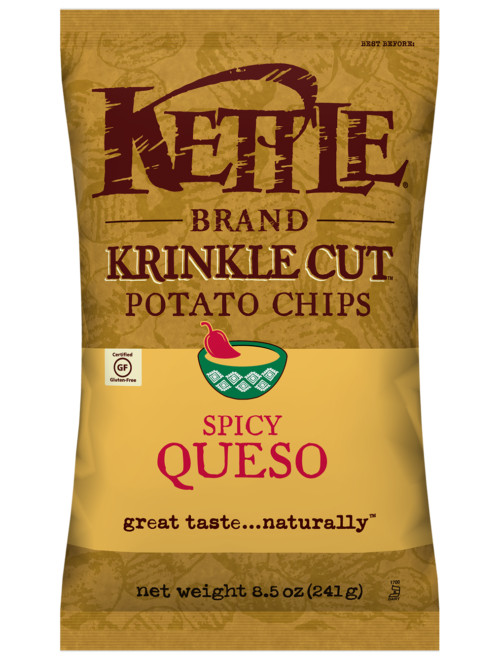 Ingredients (in 2019): Potatoes, Safflower and/or, Sunflower and/or, Conaola Oil, Organic Whey Powder, Salt, Cayenne Pepper Sauce, (Aged Cayenne Peppers, Vinegar, Salt, Garlic), Maltodextrin, Green Bell Pepper Powder, Spices, Cheddar Cheese (Pasteurized Milk, Cheese Cultures, Salt, Enzymes), Onion Powder, Lactic Acid, Yeast Extract, Organic Nonfat Dry Milk, Organic Cream, Parsley, Natural Flavors (including Smoke), Corn Starch, Citric Acid. Contains Milk.